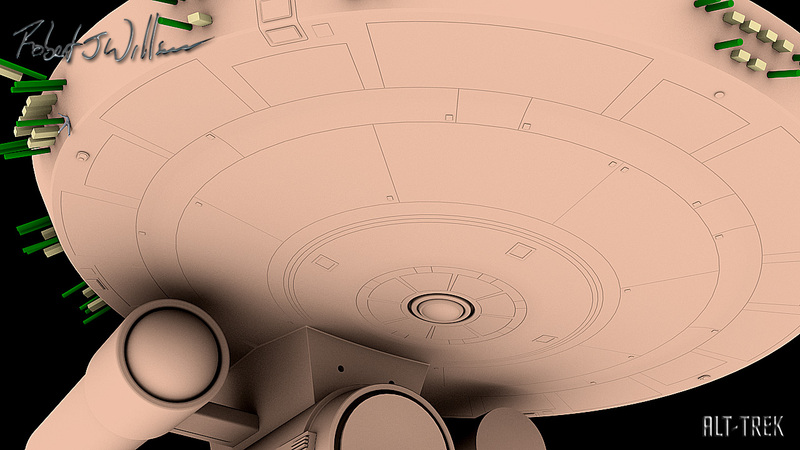 The bottom of the saucer is done I think. 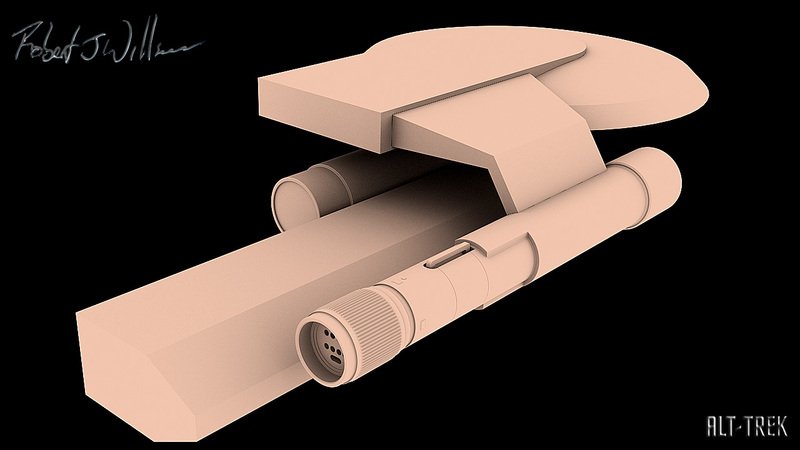 Finished up some details and added phaser hatches. 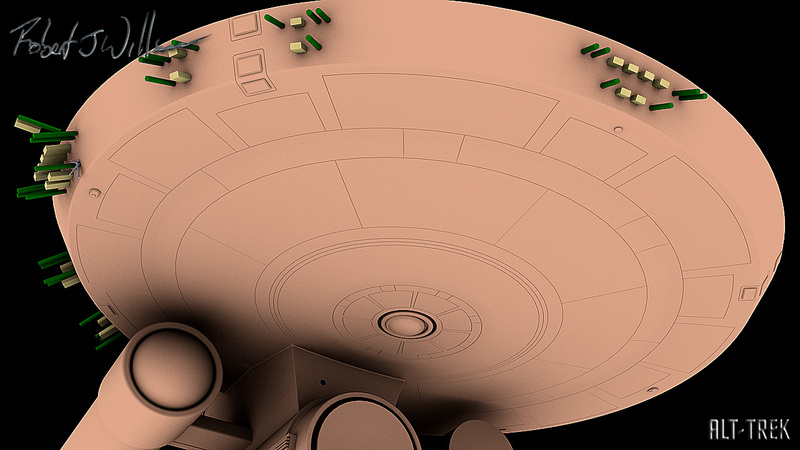 I also added phaser hatches to the top of the saucer. 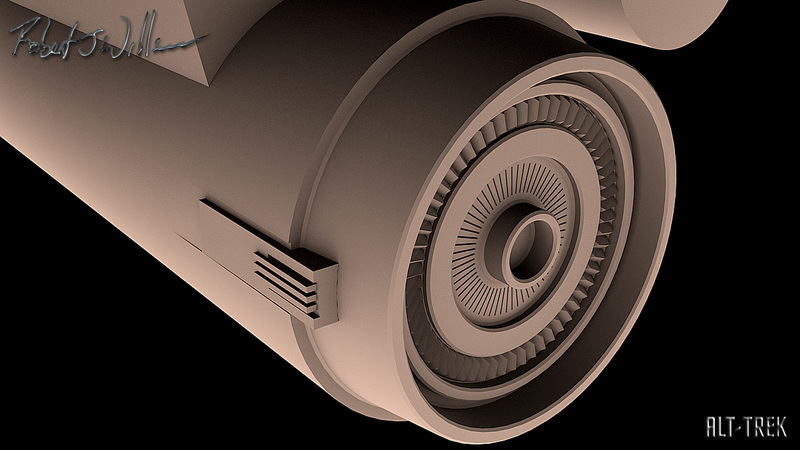 Started to work on the lower saucer. Got more stuff added. 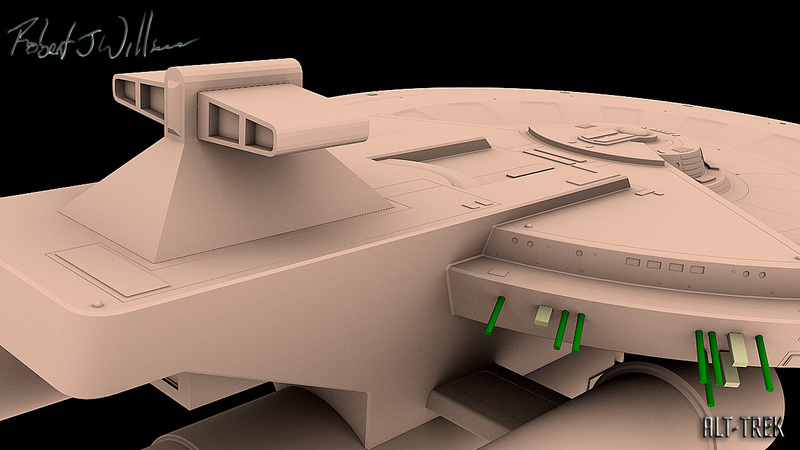 I’ve started to place windows on the saucer rim. There’s not enough room for two sets decks of windows but I think I’ll do it anyway just because it looks better. 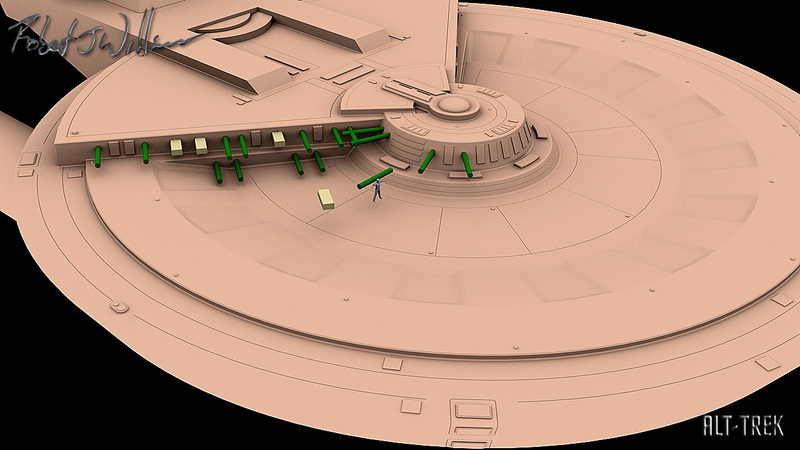 I also added the shuttle bay and some air locks. 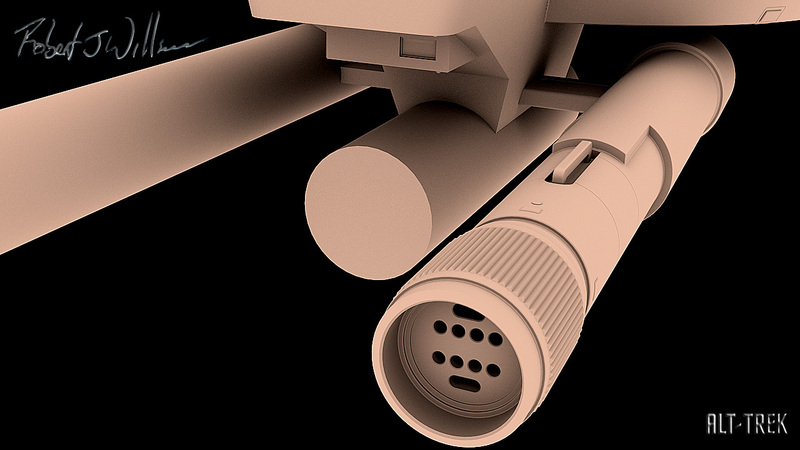 I’ll probably get rid of the aft airlock because I don’t like it. 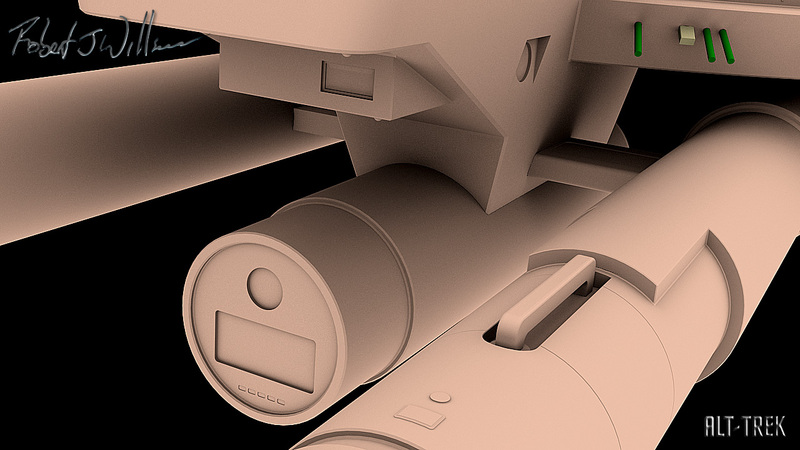 And I will increase the size of the secondary hull because the shuttlebay feel a little small. 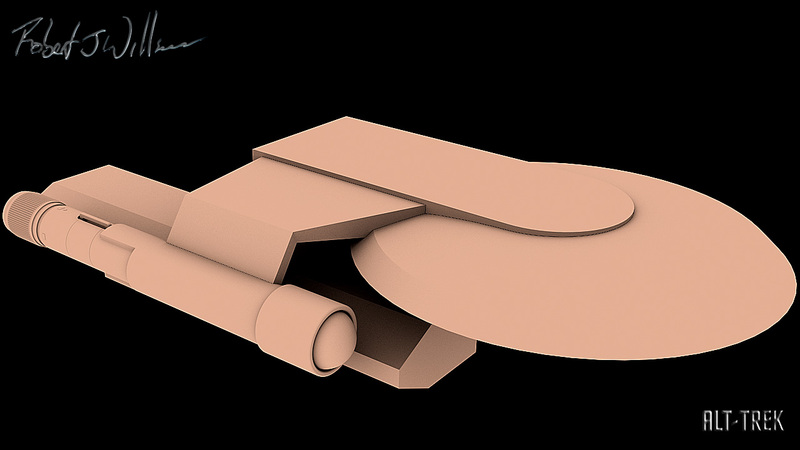 Started to block in shapes for a possible Kobayashi Maru. 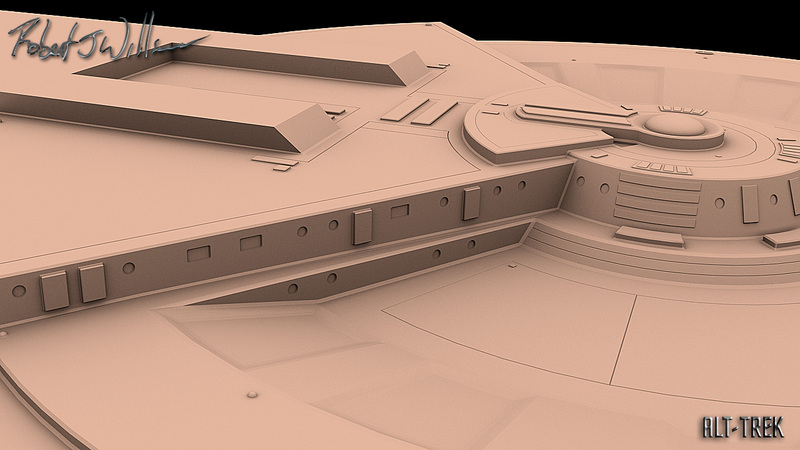 Doing a little fiddling around and did a little work on the secondary hull. Just need to make a nav dish now. The warp engine and pylon are finished. 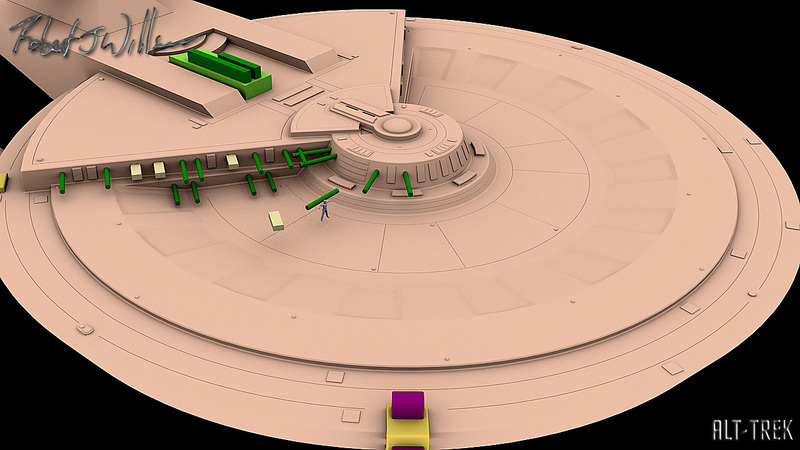 And I’m starting to add windos to the saucer. I was watching a show about Richard Pryor so I decided to name these ships after comedians. 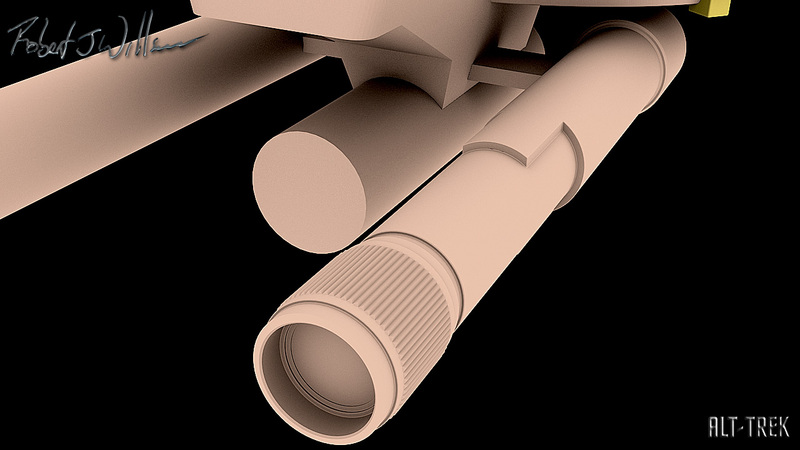 Started to get the warp engine in shape. It’s starting to the way it should. 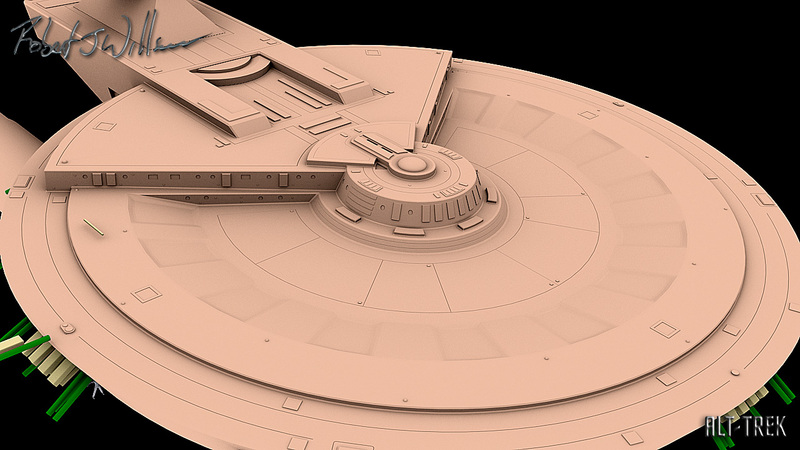 A few more things added to the saucer.